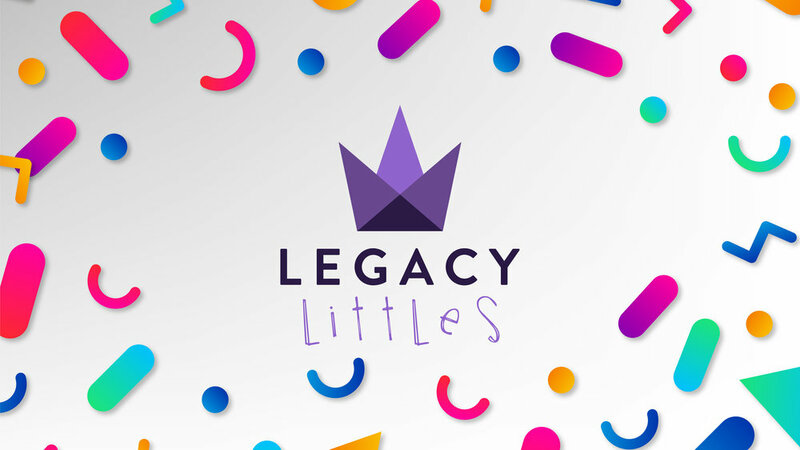 In Legacy Littles (Infant-5 years old) and Legacy Kids (1st-5th grade), we are raising up the next generation of World Changers who put God first, hide God's word in their hearts, honor their parents and leaders, and have fun while following Jesus! Legacy Littles and Legacy Kids are offered each Sunday, which means there's never a dull Sunday for your kids! WE CAN’T WAIT TO MEET YOU! PRE-REGISTER YOUR CHILDREN FOR LEGACY KIDS BELOW AND WE’LL SEE YOU THIS WEEKEND! When you walk in the doors of Premiere Cinema 10, you'll see the Legacy Kids check-in station on the left side of the lobby, near the concession counter. You'll be greeted by one of our awesome team members, who will check your child in with a unique code, so only you can pick him/her up. If you are dropping off a baby, we will have a diaper bag tag for you to put instructions on as well. Our youngest little guests will feel safe, loved and protected while in Legacy Littles! As our nursery team loves, holds and plays with your baby, we pray over each of them that they will grow up knowing God and how precious they are to Him! Your toddlers and preschoolers will have a blast playing, making friends, and learning about Jesus through age-appropriate stories, activities, and games! In Legacy Kids, your children will grow in their love for Jesus and The Bible while making lifelong friends! In each gathering, kids learn what it means to follow Jesus through worship, engaging and age-appropriate lessons, and small group discussion, activities, and games. We look forward to helping raise up the next generation of world changers! Your child's safety means the world to us! That's why every Legacy Kids and Littles gathering or event features an electronic check-in system, a private hall and restrooms, and dedicated security on site at all times. In addition, every member of our Kids and Littles team completes a background check and safety training before serving with children. Legacy Kids is not mandatory, so if you feel more comfortable bringing your kids into the gathering with you, go for it! At Legacy City Church we love families, and we are committed to helping parents to raise up world changers who put God first, hide God's word in their hearts, honor their parents and leaders, and have fun while following Jesus! Child dedication is a celebration and public commitment you make before God, your church, and your family. It is your opportunity to not only thank God for the gift of your child but also to declare your commitment to raising your children in a faith-filled home according to Biblical principles so they can discover their part in the mission of Jesus. Though dedication most often occurs when a child is still an infant, you may choose to dedicate your child (or children) of any age. Child dedications are scheduled at least two times throughout the year. Our team would love to talk with you this weekend, or you can email us anytime at contact@legacycity.church.